The historical approach plays a highly important role in the study of mystical and esoteric movements as all other approaches are to an extent reliant on it. The extraordinary importance of historical analyses requires, however, special attention. It is well-known that over the course of the history of western culture mystical and esoteric phenomena have been to a great extent excluded from the cultural mainstream and have often been oppressed by dominant ‘exoteric’ discourses. This is because historians of esotericism and mysticism are often confronted with the discursive nature of historical witnesses and descriptions and are called for "not confusing our constructs with historical reality” (W. J. Hanegraaff). Could a supposedly realistic description of some esoteric phenomenon merely be a result of polemical discourse? Do clichés or even pure inventions appear in place of expected historical analysis? How do discursive formations influence the way mystical and esoteric aspects of religious culture have been perceived and represented during a particular period of time in history? How can a historian ‘separate the wheat from the chaff’ in (self)descriptions of mystical and esoteric phenomena? These and other related issues still call for more awareness and conceptualization within historical and philosophical research of deviant religious and cultural phenomena. 10.00 – 11.00. The registration of participants in the vestibule near the assembly hall, 5th floor. 11.00 – 12.00. The official beginning of the conference. Addresses of welcome and organizing words from the Academy’s directory and Organizing committee. Vladimir V. Emelyanov (Dr. Phil., Prof., Ancient Orient Department, Oriental Faculty, St. Petersburg State University). Akkadian Epic of Gilgamesh and Babilonian Zodiac (the Historiography and the Argumentation of the Hypothesis). Roman V. Svetlov (Dr. Phil., Prof., Dean of Faculty of Philosophy, Theology and Religious Studies, Russian Christian Academy for Humanities, St. Petersburg). Socrates of the “Theaetetus” and the Unwritten Philosophy of Plato. Boris K. Dvinyaninov (PhD Cand., Russian Christian Academy for Humanities, St. Petersburg). Main Stages of Development of Investigations of Higher Hermeticism. Vladimir V. Kuchurin (Dr. Hist., Main Researcher, Leningrad Regional Institute of Development of Education, St. Petersburg). Freemаsonry and Orthodoxy in Russia in the Last Third of the 18th and in the 1st half of the 19th centuries. Yuri L. Khalturin (Dr. Phil., Associate Prof., Department of Philosophy, Biomedical Ethics and Humanities, Moscow Medical-Stomatological University). Аlchemy and Freemasonry in Interpretations of Moscow Rosicrucian Freemasonry in the End of the 18th and in the Beginning of the 19th Centuries. Konstantin Yu. Burmistrov (Dr. Phil., Senior Researcher, Institute of Philosophy, Moscow). Kabbalah as a “Source” of the Blood Libel Accusations in Russia. Elena M. Tschepanovskaya (Dr. Cultural Studies, Independent Researcher, St. Petersburg). State and Status of Contemporary Russian Astrology. Pavel G. Nosachev (Dr. Phil., Assistant Prof., Orthodox Saint-Tikhon University for Humanities and National Research University “Higher School of Economics”, Moscow). Еvgeny Golovin and “Russian Traditionalism”. Round Table: «Problem of Discourse in Esoteric Texts». Hanegraaff Wouter (Dr., Prof. of History of Hermetic Philosophy and Related Currents at the University of Amsterdam, President of the European Society for the Study of Western Esotericism (ESSWE), The Netherlands). Western Esotericism: the Next Generation. Konstantin M. Rodygin (PhD Cand., National University, Donetsk, Ukraine), Mikhail Yu. Rodygin (Dr. Chem., Junior Researcher, Institute of Physic-Organic Chemistry and Coal Chemistry, Donetsk, Ukraine). The Adaptability and Sociocultural Lability of Scientia Immutabilis. Evgeny L. Kuzmishin (Dr. Phil., Independent Researcher, Moscow). The Historico-Ideological Context of the Model of the Order of Newton by C.-A. Saint-Simon. Mikhail V. Vogman (PhD Cand., Researcher, Institute of Asia and Africa, Moscow State University). Jewish Evidence on Sacred and Saint in Gnostic Message. Kateryna V. Zorya (PhD Cand., Institute of Ethnography, Kiev). Role of Magical and Ritual Names in the 20th Century Western Occultism. Semmler Matthias (M.A., PhD Cand., Institute for Religious Studies, Free University of Berlin, Germany). Marsilio Ficino’s Prisca Theologia as the Foundation of Blavatsky’s Philosophia Perennis. Schöner Gustav-Adolf (Dr. Phil., Lecturer, Leibniz University of Hanover, Germany). The Difference between Methods of Natural Sciences and Methods of Religious Studies on Modern Astrology. Stasulane Anita (Dr. Theol., Prof., Daugavpils University, Latvia). Political Participation of Young Generation Theosophists in Latvia: Case of Roerich Group. Linde Fabian (Dr. Phil., Lecturer, Uppsala University, Sweden). Nikolai Berdiaev as Esoteric Thinker: an Argument for an Integrative Approach. Menzel Birgit (Dr. Phil., Prof., Fakultät für Translations-, Sprach- und Kulturwissenschaften der Johannes Gutenberg Universität Mainz). The Occult Underground in Russia (1960–1980s): How to Study Esotericism? Aitamurto Kaarina (Dr. Phil., Researcher, University of Helsinki, Aleksanteri Institute). “Shchuinyi put” as an Esoteric Teaching. The New Age of Russia. Occult and Esoteric Dimensions. Details of the cultural program will be announced at the beginning of the conference, and also after sessions of the 2nd day of the conference. Yulia A. Shabanova (Dr. Phil., Prof., Head of the Department of Philosophy, National Mining University, Dnepropetrovsk, Ukraine). Philosophic Mysticism under the Historico-Philosophical Continuity. Tatyana V. Malevich (PhD Cand., Department of Philosophy of Religion and Religious Studies, Faculty of Philosophy, Moscow State University). Definition of “Mystic Experience” as a Methodological Problem. Anatoly A. Osipov (Dr. Phil., Prof., Department of Philosophy, Black Sea State University, Nikolaev, Ukraine). Spiritual Practice as a Ground of the Symbolic Character of Mystic-Esoteric Knowledge and the Formation of Modern World Outlook Paradigm. Savva A. Eirus-Shulepov (Student, Department of Jewish Culture, Faculty of Philosophy, St. Petersburg State University). Remarks about Investigations of Mystic Experience in the Kabbala of Abraham Abulafia. Alexey V. Gaidukov (Dr. Phil., Associate Prof., Herzen State Pedagogical University of Russia, Department of Religious Studies, St. Petersburg). Rodnoverie: Mysticism or Rationalism, Esotericism or Exotericism? Nikita E. Gaidukov (Assistant Prof., Orthodox Saint Tikhon University for Humanities, Moscow). Mystical Polysemanticism of the Final Pericopes in the Gospels of Luke and John. Alexander N. Mushenko (Associate Prof., Head of the Department of Philosophy, Russian State Agrarian Extra-Mural University, Balashikha, Moscow Region). About Mysticism in Oriental Christianity. Enigma and Mystery in Interpretation of Dionysius the Areopagite and Maximus the Confessor. Veronica V. Ivanova (Dr. Hist., Junior Researcher, Museum of Anthropology and Ethnography (Kunstkamera), St. Petersburg). Eluding Magic (the Question of Scientific Definition). Stanislav A. Panin (PhD Cand., Department of Philosophy of Religion and Religious Studies, Faculty of Philosophy, Moscow State University). Problem of Demarcation between Magic, Science, Religion. Vladislav M. Karelin (PhD Cand., Assistant Prof., Department of Social Philosophy, Russian State University for Humanities, Moscow). Esoteric Societies as Inoperative Communities. 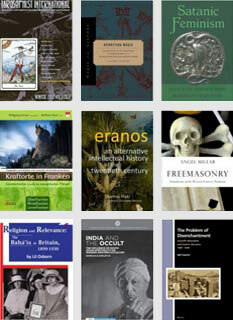 Towards the Anthropology of Esoteric Communitarity. Sergey V. Pakhomov (Dr. Phil., Associate Prof., Department of Philosophy and Oriental Studies, Faculty of Philosophy, St. Petersburg State University. 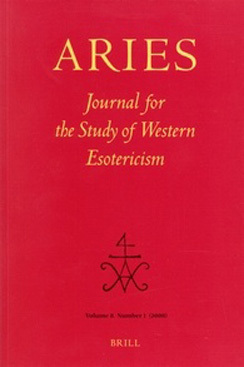 President of Association for the Study of Esotericism and Mysticism). Historico-Mythological Discourse in Western Esoteric Traditions. Yuri F. Rodichenkov (Dr. Phil., Associate Prof., Moscow State University of Technologies and Management, Vyazma Branch, Smolensk Region). Text of an Alchemical Treatise as an Object of Discourse-Analysis. Vladislav M. Karelin (PhD Cand., Assistant Prof., Department of Social Philosophy, Russian State University for Humanities, Moscow). Thelema: The Role of the Phenomenon in the History of Ideas. Round Table: «Christian Mysticism and Christian Esotericism: Putting a Question». Moderators: Ведущие: Nikita E. Gaidukov, Alexander N. Mushenko, Dr. Phil. Pavel G. Nosachev. 17.30 – 18.30 (assembly hall). Official closing of the conference. 18.30 – 21.00. Unofficial part of the conference. 191023 Saint-Petersburg, 15 Fontanka Naberezhnaya. For additional information about the conference, please send an e-mail to the conference organizers ( ). Chair: Dr. Sergey Pakhomov (Saint-Petersburg, Russia), Prof. Dr. Roman Svetlov (Saint-Petersburg). Members: Prof. Dr. Andrey Zabiyako (Blagoveshchensk, Russia); Prof. Dr. Ludmila Filipovich (Kyiv, Ukraine), Prof. Dr. Julia Shabanova (Dnipropetrovsk, Ukraine); Prof. Dr. Dmitri Shmonin (Saint-Petersburg); Prof. Dr. Birgit Menzel (Mainz, Germany); Dr. Vadim Zhdanov (Erlangen, Germany); Dr. Vitaly Vovchenko (Orel, Russia); Dr. Yuriy Zavhorodniy (Kyiv, Ukraine); Dr. Sergey Kapranov (Kyiv, Ukraine).